Rice bran is the most important rice by-product. The bran fraction contains 14-18% oil. Rice bran that has not been defatted is a useful binder in mixed feeds. Defatted rice bran can be used at higher levels than ordinary rice bran. Rice bran is often adulterated with rice hulls, as it should have a crude fibre content of 10-15% (Göhl, 1982). After threshing, the rough rice is transported to mills for processing into white rice (polished rice) through a series of operations that free it from the hull, germ and bran. In many countries the processing of rice for local use is still carried out in one-stage mills. The by-product of this simplest form of processing is a mixture of hulls and bran that seldom reaches the market as it is usually returned to the rice grower. In large-scale mills the rough rice undergoes several processes: cleaning, parboiling, hulling, pearling, polishing and grading. The cleaning process removes all extraneous matter, such as "dead" grains, stones and stalks. For certain varieties it is necessary to parboil (steep) the cleaned rice in hot water for a time to facilitate removal of the hull and improve the keeping quality of the grain. This process also improves the thiamine content of the grain. There are several methods of removing the hull. After hulling, the germ and outer bran are removed in a set of huller reels and pearling cones in which the waxy cuticle is scoured off by the friction between the high-speed abrasive cone and its casing. The resultant bran meal is propelled through meshes of wirecloth and collected. The milling space between the cone and the casing is adjustable so that the milling rate can be varied by raising or lowering the cone. In most mills the rice passes through several cones, each with a higher milling rate. The bran from the different settings is usually mixed into one product. For a finer appearance, rice from the pearler is passed through polishers. These machines are similar to pearling cones except that they contain a drum covered with strops of hide rather than an abrasive cone. In this process a part of the starchy kernel (endosperm) is removed. If inner bran layers are included, the product is called fine bran, or pollard. The mixture of whole and broken rice from the polishers is separated in sieves and then remixed in proportions corresponding to the standard at which the rice is to be sold. The percentage of by-products depends on milling rate, type of rice and other factors. The following figures give an approximate idea of the proportions: hulls, 20%; bran, 10%; polishings, 3%; broken rice, 1-17%; polished rice, 50-66%. Rice pollards are a mixture of bran and polishings. 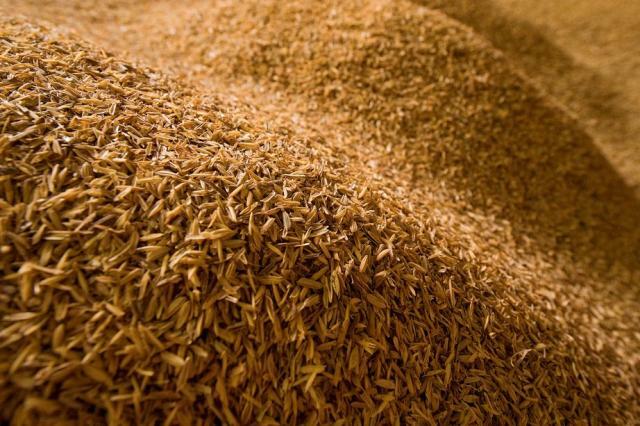 Rice mill feed, a mixture of all the by-products obtained in the milling of rice, contains approximately 60% hulls; 35% bran and 5% polishings. The offal obtained from one-stage mills is of similar composition and is often erroneously called "rice bran". Production of rice mill feed in multi-stage mills is somewhat cheaper than separate production of the ingredients. Rice by-products are available worldwide. Irrigated rice causes anaerobic fermentation in the soil, subsequently producing large amounts of CH4 (from 6 to 29% of the total amount of anthropogenic CH4 emissions), one of the most important greenhouse gases (Neue, 1993). Lodging also causes acidification and increases salinity. Specific water demand for rice ranges from 2000 to 3000 l/kg which is slightly higher than other crops such as legumes or wheat (Hoekstra, 2003). Rice bran is a good source of B vitamins and is fairly palatable to farm animals. The oil has a marked softening effect on body fat and on the butterfat in milk. With attention to the oil content, rice bran is a valuable feed for all classes of livestock. Rice pollards are used in the same way and with the same limitations as rice bran. It should be noted that rice milling by-products do not follow strict naming conventions. 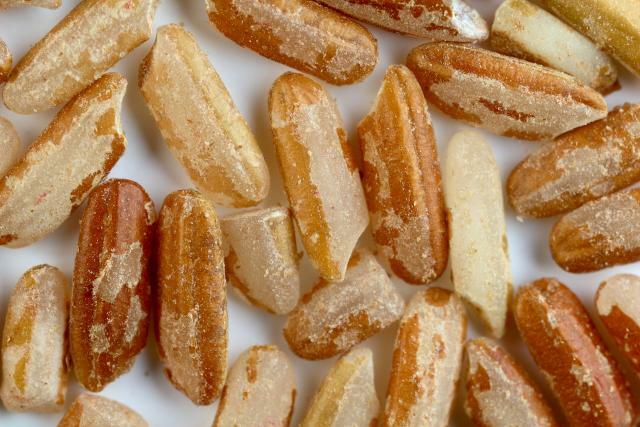 Many products called "rice brans" are mixtures of by-products obtained at different stages of the milling process, resulting in large variations in chemical composition. The oil in full-fat rice bran can become rancid during storage due to the presence of a lipolytic enzyme that becomes active when the bran is separated from the rice. Rancidity rapidly increases the free fatty acid content. The free fatty acid content of bran from parboiled rice is below 3% immediately after milling but increases at the rate of about 1% per hour. Apart from extraction of the oils, the rancidity process can be delayed by heating or drying immediately after milling. Heating to 100°C for four or five minutes with live steam is sufficient to retard the increase in free fatty acids. The rice bran can also be heated dry if spread out on trays at 200°C for ten minutes. The same effect can be obtained by reducing the moisture content to below 4%. Most chemical inhibitors are ineffective (Göhl, 1982). In dairy cows, full-fat rice bran has been recommended as a source of fat (Nornberg et al., 2004). However, beef cattle and finishing cows supplemented with full-fat rice bran do not perform as well as animals supplemented with maize, soybean hulls or wheat bran (Gadberry et al., 2007; Osmari et al., 2008). Heifers fed maize or soybeans hulls as energy-based supplements gained more body weight than heifers fed rice bran, but this product had no effect on calf birth and weaning body weight (Sanson et al., 2003). In steers, full-fat rice bran has proved to increase DM intake when supplementing hay-based diets, green forage-based diets or sugarcane bagasse-based diets (Pal et al., 2004; Toburan et al., 1990; Alvarez et al., 1978). However, at low inclusion levels it had no effect on carcass yield or carcass weight (Goncalves et al., 2007). In dairy cows, a mixture of defatted rice bran and molasses sustained the same milk yield as maize concentrate (Chaudhary et al., 2001). Defatted rice, fed as a supplement to grazing cows or cows fed on hay-based diets, improved hay DM digestibility, hay NDF digestibility and total diet DM digestibility. The cows increased their body weight, milk yield and milk fat content (Gadberry et al., 2006; Buaphan et al., 2006). However, when defatted rice bran was compared to other brans, such as maize bran or wheat bran, it gave the poorest results: lowest milk yield and lowest digestible OM intake (Gadberry et al., 2006; Tahir et al., 2002; Singh et al., 2000). Defatted rice bran increased energy intake and fibre digestibility in steers (Zhao et al., 1996), suggesting that fat content is detrimental to NDF digestibility (Gadberry et al., 2007). Calves supplemented with defatted rice bran gained more body weight than non-supplemented calves. In other studies, defatted rice bran gave similar body weight gain to wheat middlings but lower than those obtained with maize or full-fat rice bran (Gadberry et al., 2007). In sheep, supplementing basal diets with full-fat rice bran seems to have positive effects. However, recommended inclusion levels vary from less than 20% to more than 40% depending on the basal diet (Nega et al., 2009; Tabeidian et al., 2009; Salinas-Chavira et al., 2008; Orden et al., 2000a; Orden et al., 2000b; Rivero et al., 2004). In lactating goats, substitution of wheat bran with rice polishings (25%) reduced the feed cost of goat rations (Dutta et al., 2006). Because of its interesting chemical composition and particularly high lysine and methionine content, full-fat rice bran is often used as a basal diet in pigs (Chiv Phiny et al., 2008; Thim Sokha et al., 2008; Chhay Ty et al., 2007a; Chhay Ty et al., 2007b; Malavanh et al., 2006; Chhay Ty et al., 2006; Keoboualapheth et al., 2003; Le Duc Ngoan et al., 2001). Adding enzymes to rice bran may enhance ileac digestibility of non-starch polysaccharides (Yin et al., 2004). Additional Zn was useful at 60% rice bran inclusion to prevent parakeratosis (Bauza et al., 1990). On the contrary, feeding rice bran with phytase lowered the need for P supplementation in maize-soybean meal-based diet (Nicolaiewsky et al., 1989). Recommended inclusion levels of full-fat rice bran range from 22% to 60% depending on the treatment as shown in the following table. Pigs can also be fed on defatted rice bran even though it impairs feed conversion ratio (Kanto et al., 2006). This effect may be alleviated by adding enzyme: phytase supplementation allowed P withdrawal (Ludke et al., 2002; Moreira et al., 2003) and decreased feed costs (Kanto et al., 2006). Feeding pigs with carbonized rice bran suppressed volatile fatty acids and sulphur compounds in the manure, thus reducing odours (Saito et al., 2003). The variability of rice bran, and in particular its fibre content, has a very high effect on its nutritional value for poultry (Widyobroto, 1989). Rice bran has high lysine and methionine contents (Tsvetanov et al., 1990) and good Mn availability (65%) (Fialho et al., 1993; Halpin et al., 1986). Nevertheless, its phytate content, enzyme inhibitor, high fibre content and oxidative rancidity may have deleterious effects on poultry. In broilers rice bran may become rancid and decrease growth and lipid stability of meat (Chae et al., 2002). It is suggested that it be included at relatively low levels (up to 15% only) in broilers diets (Vieira et al., 2007; Shin et al., 2004; Gallinger et al., 2004; Asit Das et al., 2000). Higher levels may result in low calcification (Aruna Tomar et al., 1999). Decreased feed intake and increased mortality can occur with above 80% inclusion (Carrion et al., 1989). In order to alleviate the adverse effects of phytates, enzyme inhibitor and oxidative rancidity as well as high fibre content, enzymes such as phytase, xylanase or lipase may be added to rice bran, making it possible to include higher levels of rice bran in broiler diets and resulting in better animal performance. Technological treatments can modify the nutritional value of rice bran for broilers. Heating decreased nutritional value (Vali et al., 1989) but extrusion cooking made rice bran inclusion possible at 20% (Mujahid et al., 2003). Combinations of rice bran with other feeds may be beneficial to broilers: 10% rice bran + 5% palm oil gave results comparable to commercial concentrates (Ibiyo et al., 2005). Rice bran and peanut meal mixtures gave higher gross margins than maize-soybean meal diets (Khalil et al., 1997). Rumen liquor may also be added to rice bran in order to solubilise P contained in phytates (Pujaningsih, 2004), making a decreased P supplementation possible. Even if rice bran does not compare favourably with maize (Gupta et al., 1988; Kratzer et al., 1974), it can replace up to 25% maize in diets and be economically efficient (El-Full et al., 2000). The following table summarizes the recommendations found in the literature. Defatted rice bran can be fed to broilers at 15% to 20% (Kim et al., 2003; Butala et al., 1994). Adding phytase or bile salts to defatted rice bran enhanced chick performances with results comparable to commercial diets (Adrizal et al., 2002; Munaro et al., 1996). Recommended inclusion levels for full-fat rice bran in laying hen diets range from 7.5% to 40% (Nobakht, 2007; Filardi et al., 2007; Rezaei, 2006; Saml et al., 2006; Popescu et al., 2003; El-Full et al., 2000; Huezo et al., 1999) but best animal performance, FCR (feed conversion ratio) and economic results seem to be achieved below 10% inclusion (Filardi et al., 2007; Rezaei, 2006; Popescu et al., 2003). 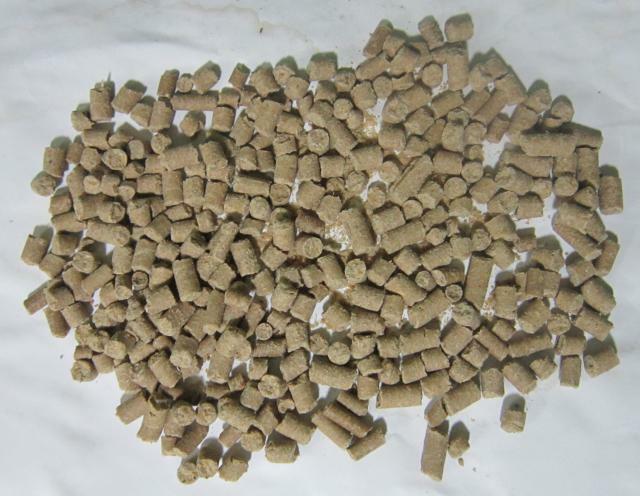 Rice bran can be used to feed rabbits. Inclusion levels range from 5% in young rabbits (Bhatt et al., 2005) to 60% (Raharjo et al., 1988a) depending on treatment or supplementation. Gamma irradiation allows 50% inclusion (Amber et al., 2004). Supplementation with enzymes on 43% rice bran diet enhanced feed intake, body weight gain and feed conversion ratio (Shanmuganathan et al., 2004). In Australia, rice pollards have been widely used, for many years, in high energy horse feeds. Digestible energy values of 14.3-15.5 MJ/kg DM have been found (Hutton, 1990). 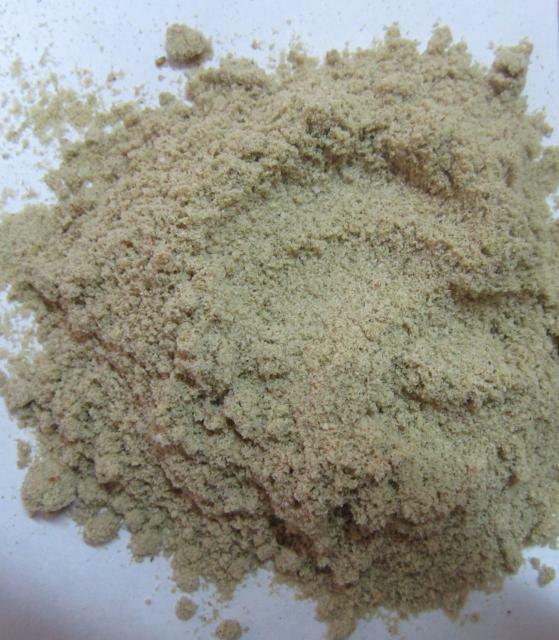 Rice bran is one of the main ingredients used by tilapia farmers in Subsaharan Africa (El-Sayed, 2013). In Kenya, a comparison of maize bran, rice bran and wheat bran fed to tilapia at 1.5% body weight showed that rice bran gave lower performance and was less profitable than wheat bran and maize bran (Liti et al., 2006).